Morganfield's, home of Sticky Bones, is one of the best places to savor barbecued pork. The restaurant chain is inspired by scrumptious pork ribs of the American Midwest. 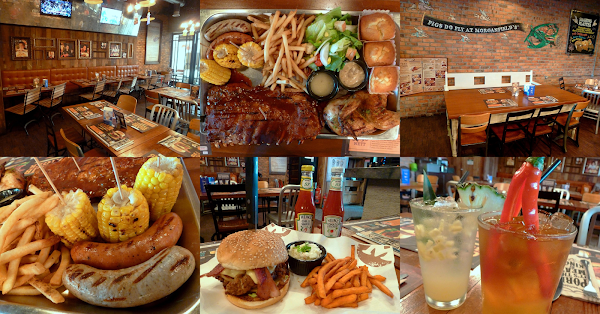 At present, Morganfield's has more than a dozen locations in major shopping malls across Malaysia and abroad. Today's lunch lands us at Morganfield's outlet in Sunway Pyramid. The dining section of Morganfield's is combination of a family restaurant, a drinking establishment and a sports bar. To present a homely appearance, the restaurant is designed with wooden panels over red brick walls. Wooden tables and chairs provide the right setting for casual dining. Diners who prefer to bask in natural light can also opt to be seated outside the restaurant's main entrance. The Carnivore (RM179.90) is crafted to feed the most devoted meat-eaters that has ever roamed the face of this planet. This sharing platter consists of pork ribs, chicken, sausages, corn bread, grilled corn on the cob, garden salad and French fries. The Carnivore is the best option to satiate everyone's endless craving for meats, especially those from the swine. Hickory Wood-Smoked Ribs, or "Sticky Bones" in Morganfield's parlance, is the bestselling food here. Served as part of this platter is a full slab of succulent spare ribs - roughly 11 bones in total. 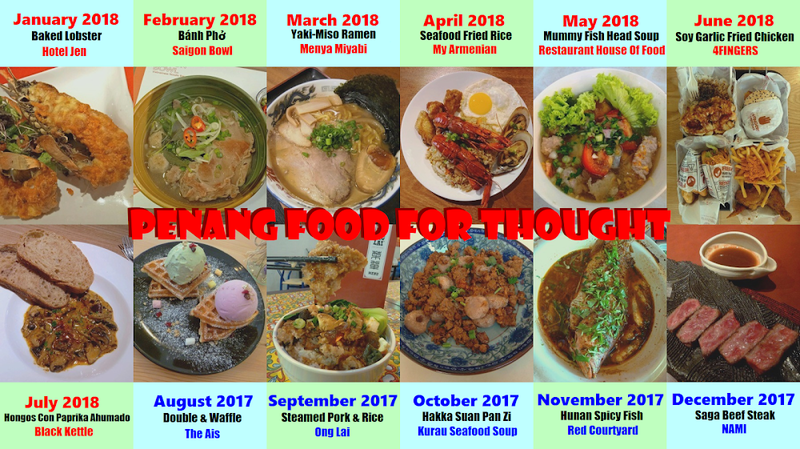 There are 4 flavors to choose from: Hickory BBQ Spare Ribs, Garlicky BBQ Spare Ribs, Smoked Peppercorn Spare Ribs and The Naughty Spare Ribs. Today's choice is the Hickory BBQ Spare Ribs, which is Morganfield's signature recipe. The slab of spare ribs is basted with sweet-tangy Hickory BBQ sauce, and then smoked with hickory to impart the wood's distinctive flavor. Cooked to perfection, the flesh remains fairly tender and juicy. In fact, pork peels off the bones almost effortlessly. Delectable to the last morsel, there is no shame in getting your fingers sticky while indulging these bad boys. As for chicken, The Carnivore includes a half-bird portion of either Herb Roasted Chicken or Tequila Spiked Chicken; we are having the former today. Mushroom gravy is served on the side. All in all, I feel that the chicken can benefit from a stronger marinade as the center is quite bland. The platter includes 2 types of pork sausages: Herby Hog and Spicy Devil. Stuffed with premium ground pork, the sausages are grilled to perfection. I particularly enjoy the Spicy Devil sausage as it presents a tantalizing twist of spiciness in the mouth. Homemade cornbread muffins serve as carbohydrates. Compared to regular wheat muffins, they are noticeable rougher in texture. Meanwhile, sweet corn kernels punctuate the muffins sporadically. Also included are 3 pieces of grilled corn on the cob, glazed with garlic butter and gently grilled such that the kernels remain fairly juicy. The meat-heavy platter is somewhat balanced with a serving of fresh garden salad. Comprising of romaine lettuce, cherry tomatoes, onions, corn kernels and croutons, the garden salad goes reasonably well with Morgan's house dressing. Meanwhile, I feel that the serving of French fries is saltier than it ought to be. 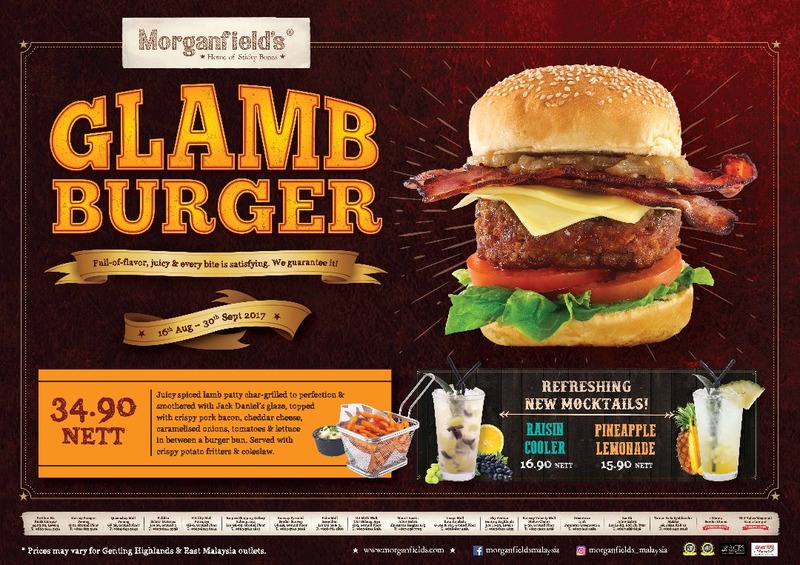 Moving on, Morganfield's limited time Glamb Burger (RM34.90) consists of a 160-gram chargrilled lamb patty glazed with Jack Daniel's barbecue sauce. Seasoned to perfection, the patty's sharp pungency makes this lamb burger gratifying to the last bite. Other ingredients in the Glamb Burger are crispy pork bacon, caramelized onions, tomatoes, lettuce and cheddar cheese. Sandwiched between two halves of a sesame bun, the burger stack is held place with a steak knife. Side dishes are coleslaw and sweet potato fries. This promotional burger is offered until 30 September 2017, so hurry if you do not want to miss this delectable treat. Morganfield's bar is where cocktails, mocktails and shooters are prepared. For staunch drinkers, the bar stocks a reasonable collection of spirits and wines. In addition, Morganfield's also serves draught beers such as Carlsberg, Connor's, Kronenbourg and Hoegaarden. Waikiki (RM14.90) is named after the popular Hawaiian beach. Served chilled, the drink is a blend of pineapple juice, passion fruit syrup, milk and ice. Also included are tangy chunks of pineapples. Blue Curaçao at the bottom provides an alluring bluish hue for aesthetic appeal. Sizzling Mango Iced Tea (RM14.90) is a glass of mango-flavored sweet tea. The most distinctive feature of this drink is a whole chili pepper dipped into the drink. Fortunately for me, the tea is not as spicy as it appears because chili seeds have been removed from the fruit. From the same promotional menu as Glamb Burger comes Pineapple Lemonade (RM15.90), a mocktail with a tropical twist. Made from lemon-flavored soda, sweet and sour mix, diced pineapple and agave syrup, the drink is an effective thirst quencher. Similar to Piña colada, the Pineapple Lemonade is garnished with a pineapple wedge and a pineapple leaf. 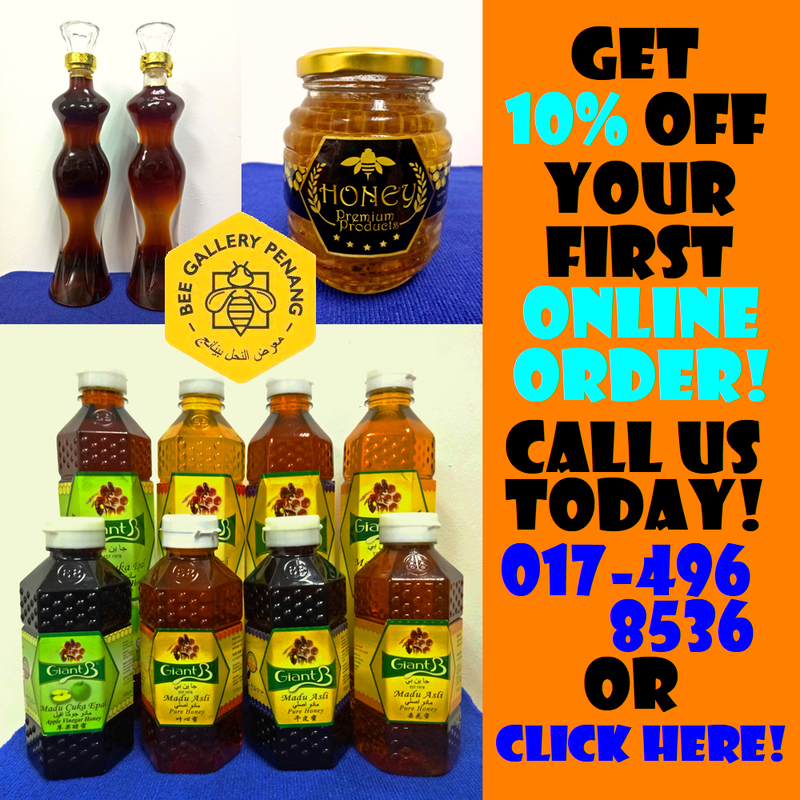 Raisin Cooler (RM16.90) is another carbonated drink flavored with Monin wild grape syrup. Suspended in the drink are mashed red and white grapes that lend their fruity sweetness. There are two straws in the glass; ostensibly one for stirring and another for drinking. Overall, Morganfield's is one of the best places to enjoy barbecued pork ribs. Food portions are enormous to ensure that each customer's stomach is filled to the brim. The sharing platters also allow larger parties to savor more types of food in one go. Meanwhile, the drinking crowd should be satisfied with the wide range of alcoholic beverages that Morganfield's has to offer. Directions: Morganfield's is located at the northeastern corner of Sunway Pyramid. The mall provides multilevel parking.